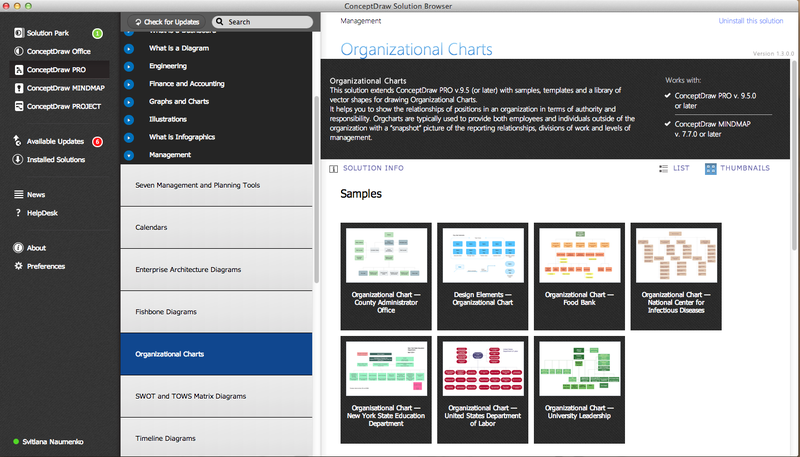 ConceptDraw DIAGRAM presents the Organizational Charts Solution from the Management Area of ConceptDraw Solution Park. The Organizational Charts Solution provides the useful tools for creating professional looking Organizational Charts. Wide variety of examples is included in Organizational Charts Solution. You can find them in ConceptDraw STORE. The example below was also designed in ConceptDraw DIAGRAM using the Organizational Chart library from the Organizational Charts Solution. Sample 2. 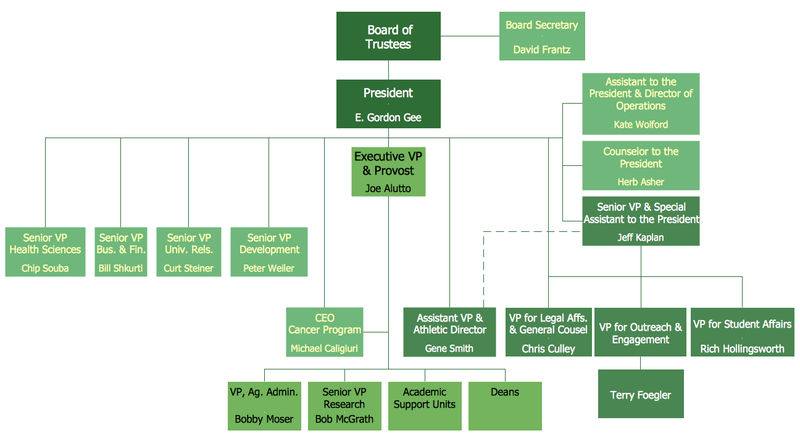 Organizational chart - University leadership.